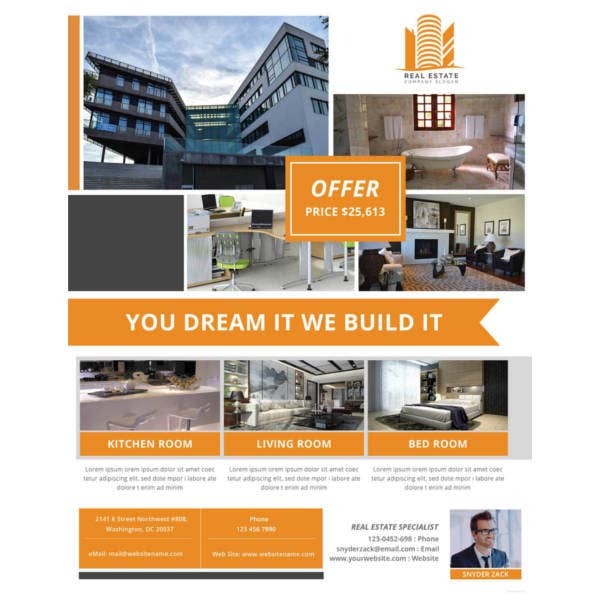 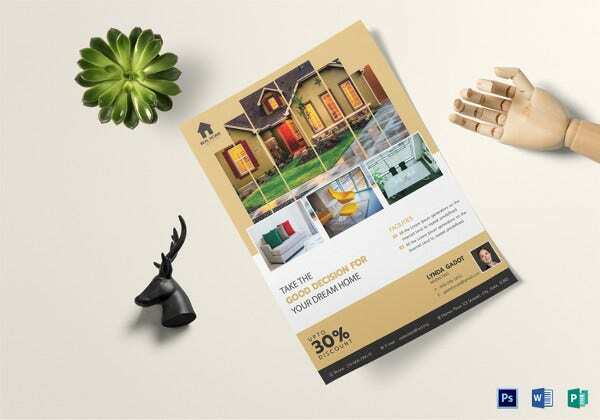 Flyer designs play a prominent role in real estate business. They are the quickest to reach the mass and a deal can be easily completed within a short period. 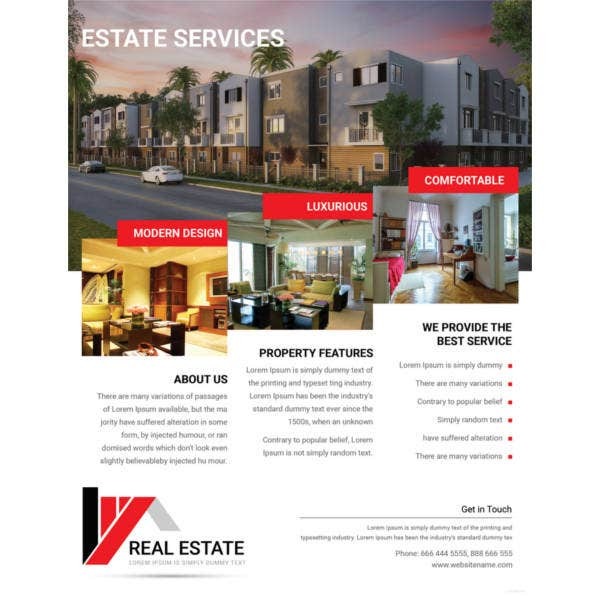 Real estate business generally deals with selling of residential plots, layouts and properties such as buildings. 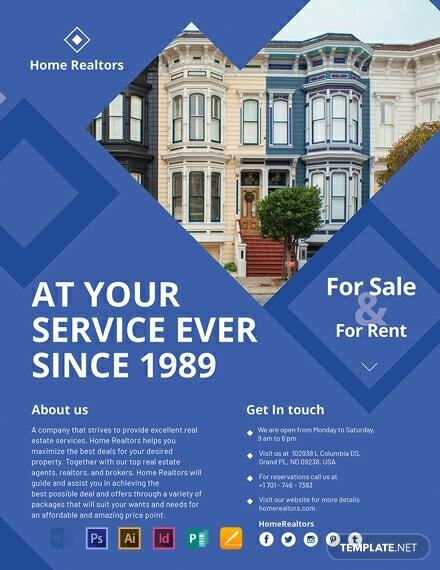 It also deals with letting out properties for rent or lease. 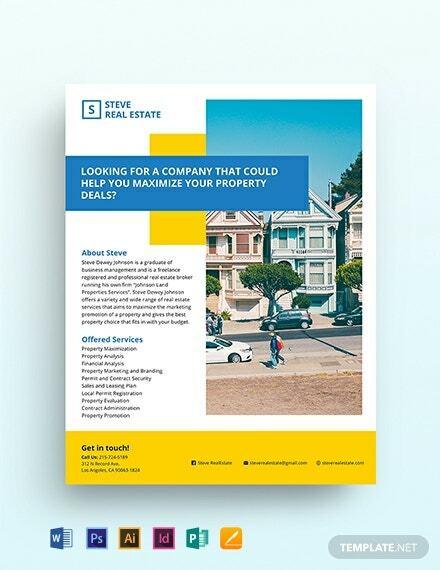 Free printable which looks professional Real Estate Flyer Templates are available for download from the web. 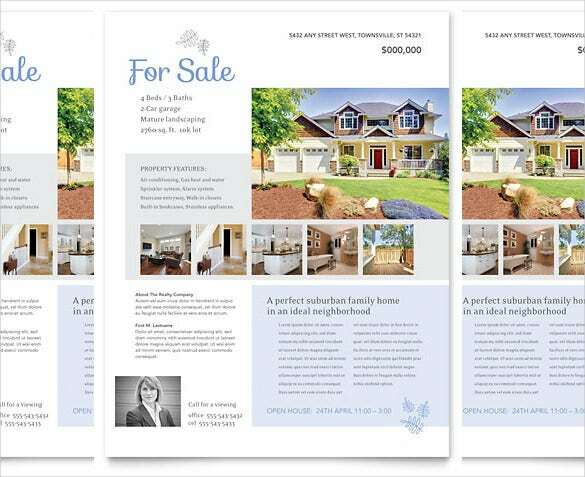 They are easily customizable using word document and effortless to make use of them. 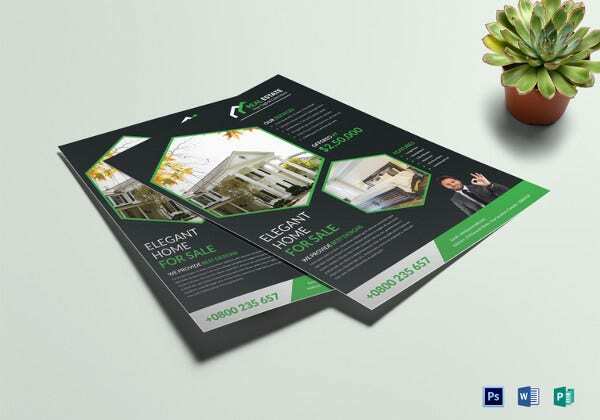 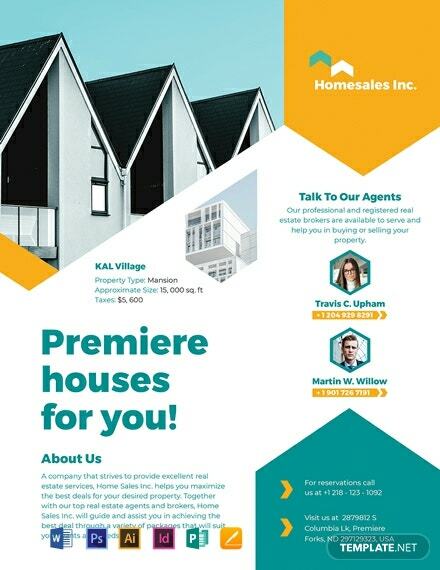 Using ribbon interface in Microsoft word one can create an attractive real estate flyer template. 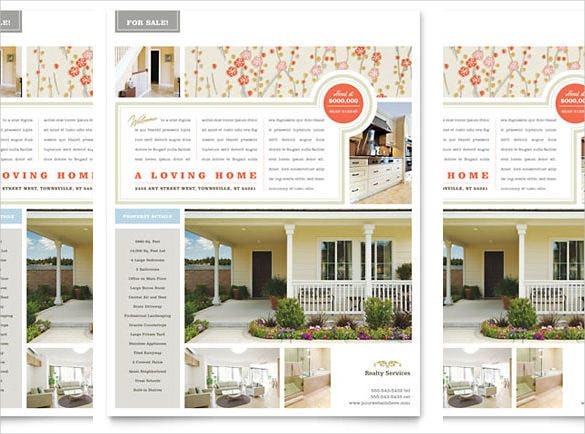 The latest version like Word 2010 offers many options to customize the template. 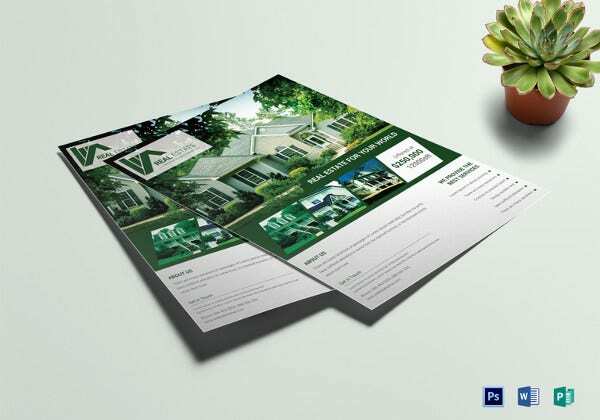 Create the layout by giving maximum margins. 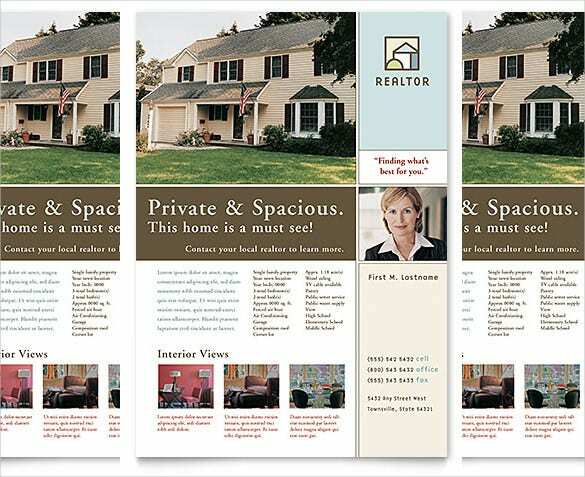 From page layout tab set the margins. 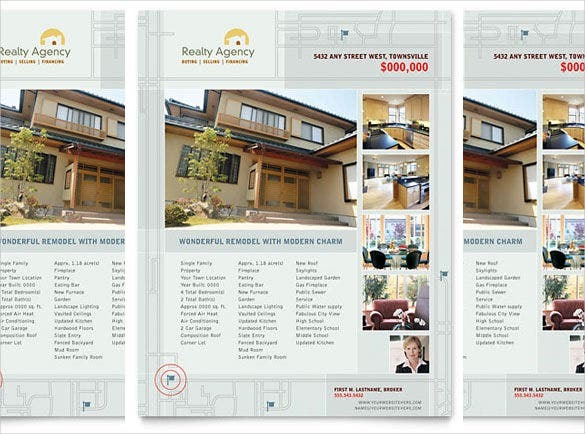 Select table from insert tab. 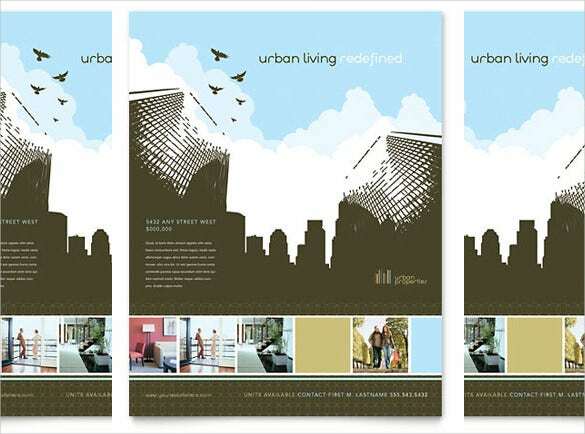 Choose a table for example 2 x 6. 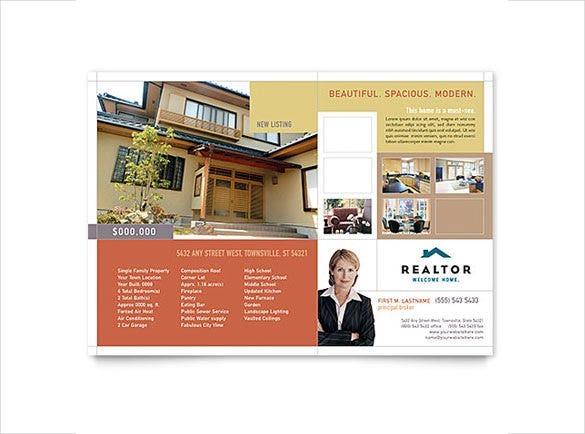 These tables are utilized to add pictures, text etc. 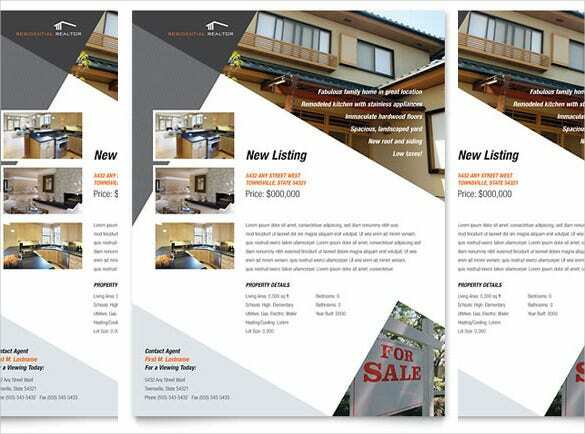 Merge the table cells. 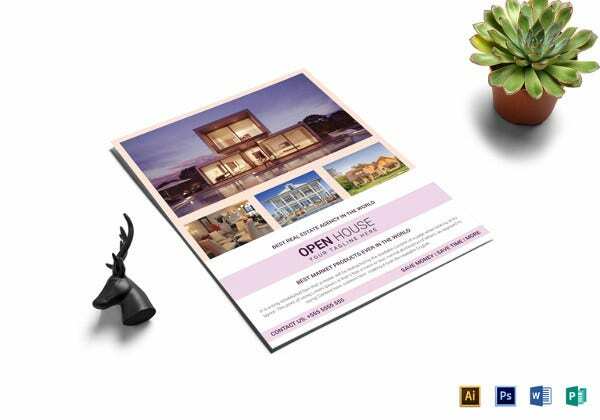 From Clip Art search for house and all the pictures related to house are displayed for selection. 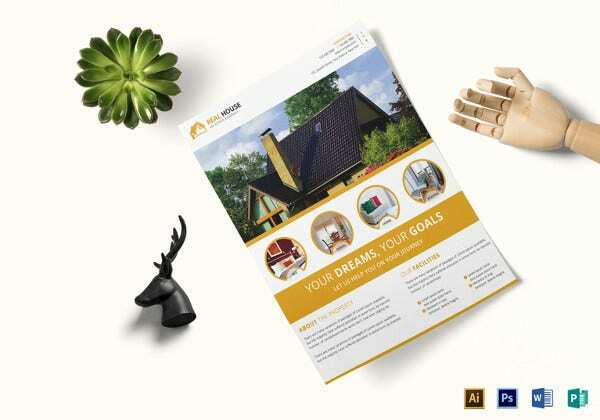 Place the picture at a convenient position in the document. 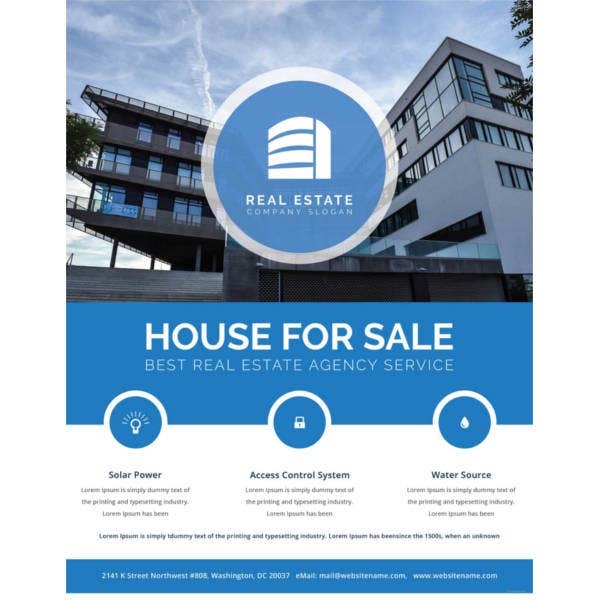 Fill in the rest of the cells with information like details of the property, contact information. 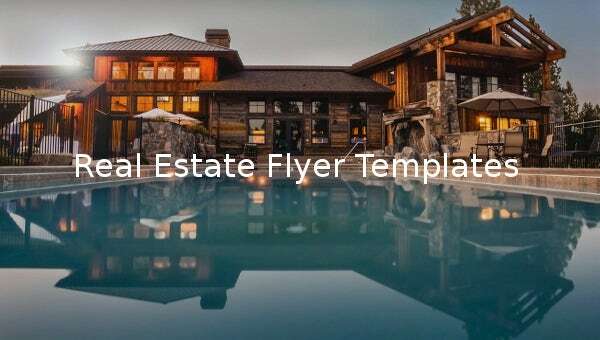 Save the document as a word file and this document can be treated as a template where one can change the picture or text. 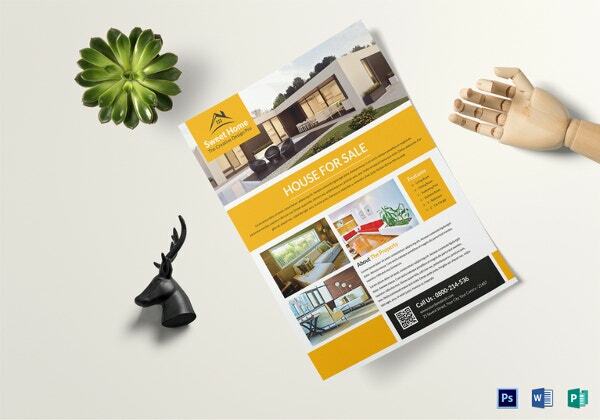 To face the challenge of profound competition in real estate market, flyers comes as a rescue to the real estate business. 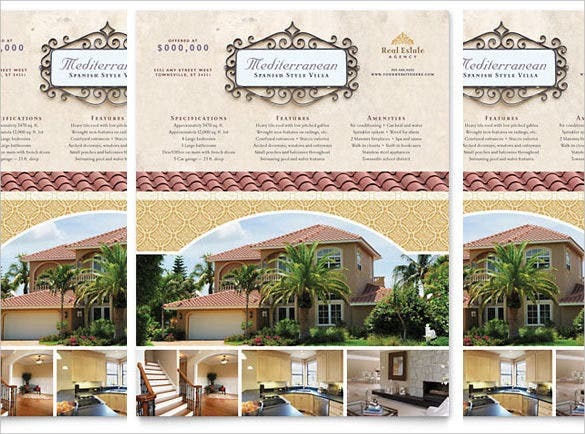 The real estate flyers are mainly used to attract the targeted audience. 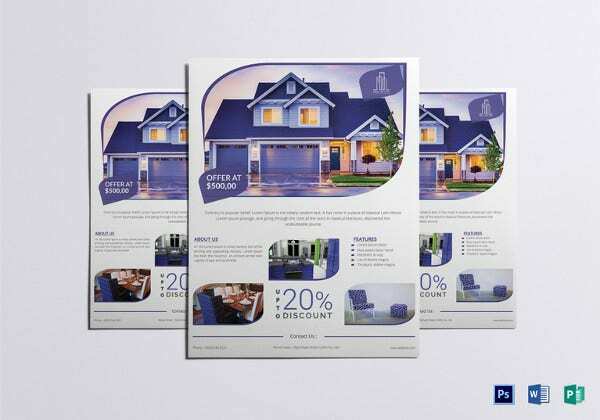 The sales agents who live on commissions for their sales and cannot afford to spend lot of money for promotion, flyers are the cheapest method of advertisement. 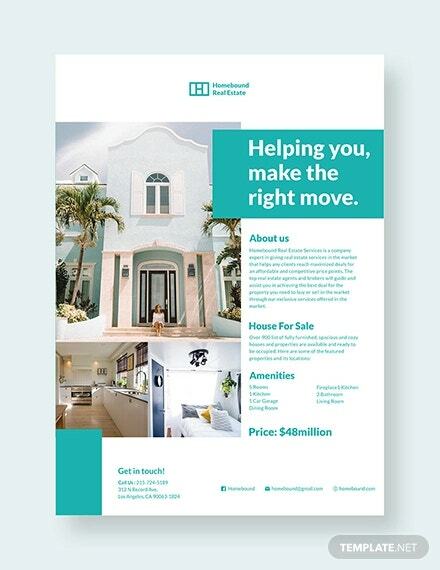 By regularly distributing and changing a bit in the look and feel of the flyers, one can sure to clinch the much-needed deal. 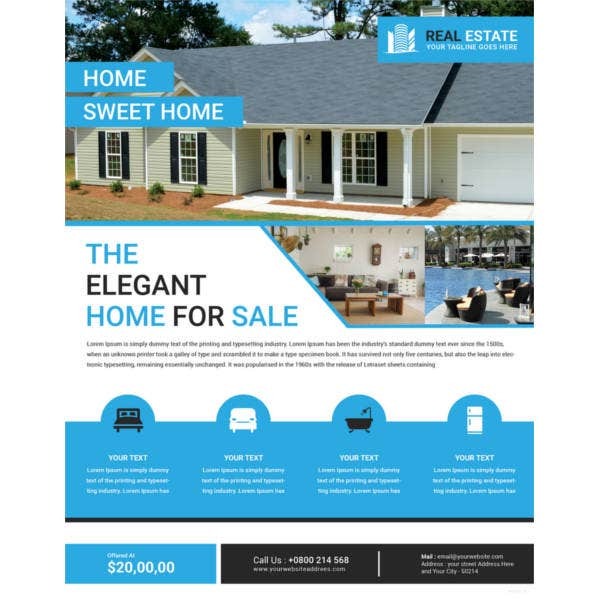 Any new business ventures that a real estate company makes the flyers are the best form of advertisement. 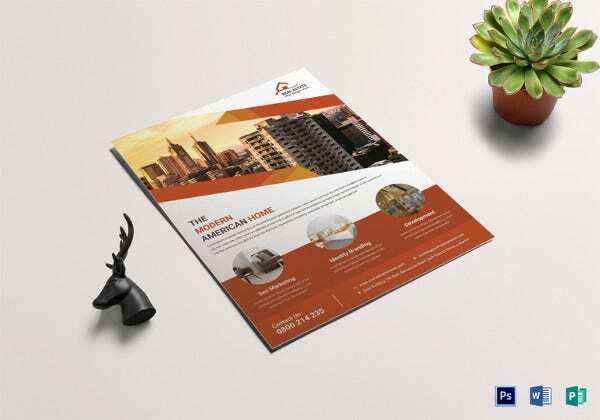 For start-up business people too, the flyers helps a lot in flourishing their business. 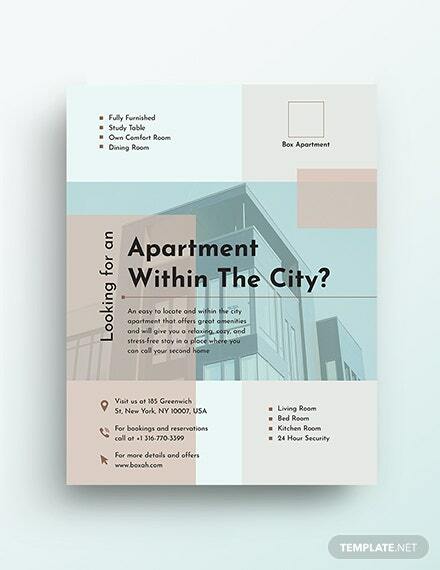 The title should be attractive and very apt, probably adding the area or location in the title makes the viewer to read it further. 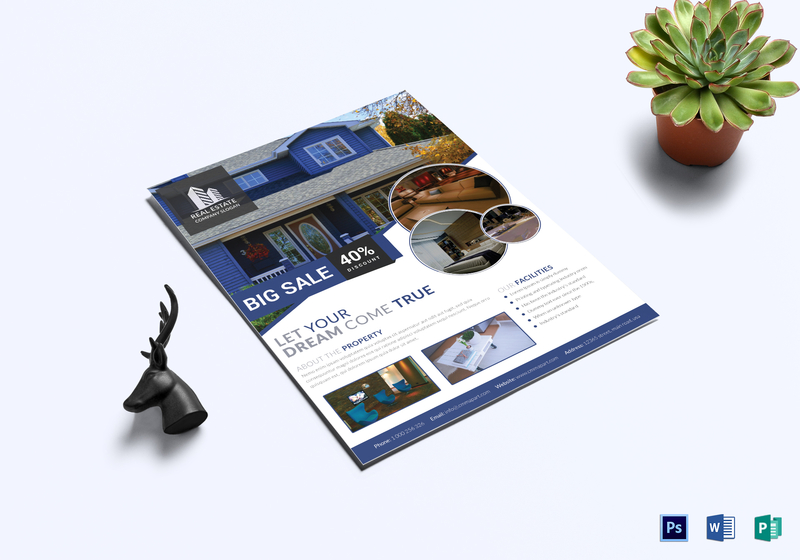 Adding relevant pictures and images to the flyer at the appropriate place gives an edge to the flyer design. 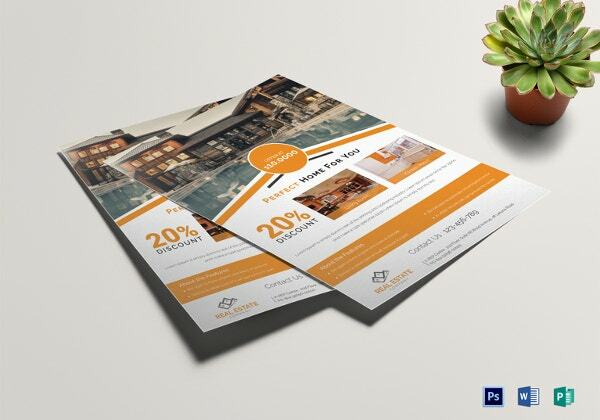 By giving some offers that are bounded with time creates urgency in the minds of the potential buyers. 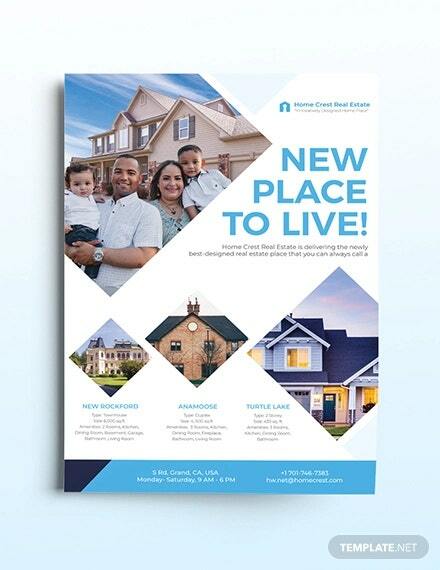 Many varieties of real estate flyer templates are available on the web. 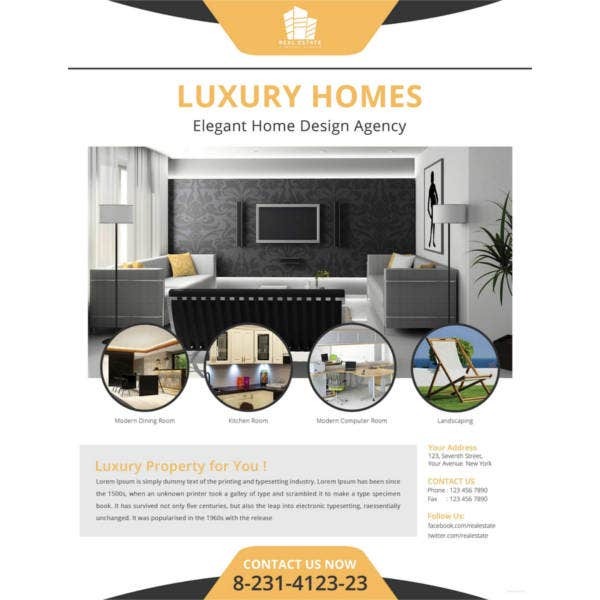 But selecting the best and appropriate one for the business is the key. 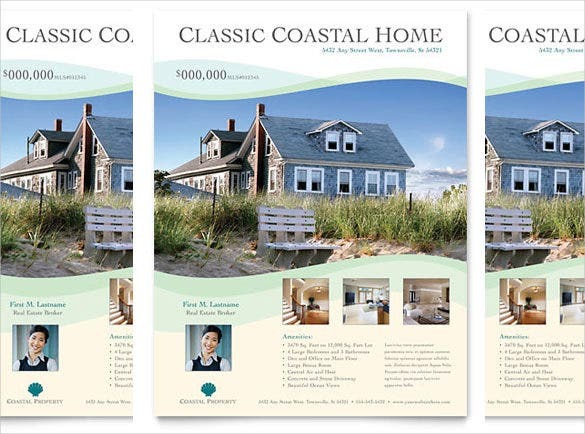 For example when one is selling beach houses, a picture related to a beach house is essential while Selecting the Template. 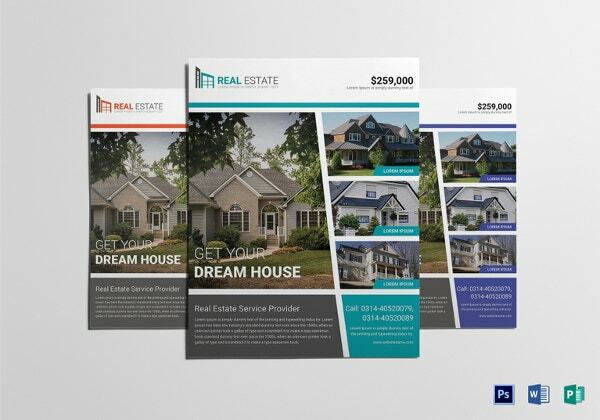 Similarly, while selecting templates for selling layouts one should clearly depict the pictures for which it suits like row houses or apartments. 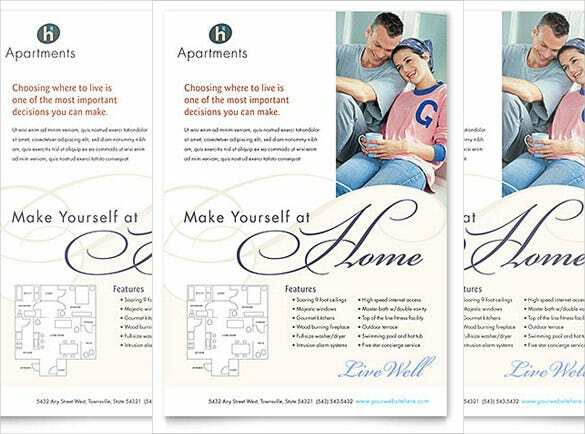 The important thing about the templates is they should be customizable easily. 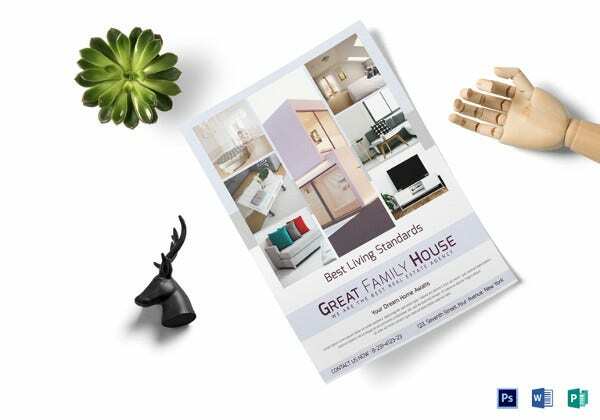 Most of the templates are downloadable for free and editable using word format tools. 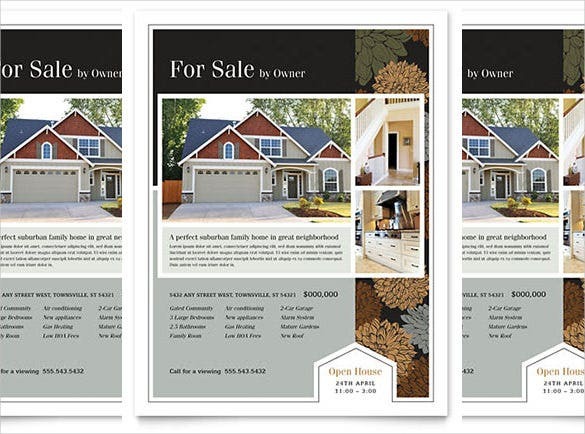 By using professional look like real estate flyers one can use them as a valuable marketing tool. 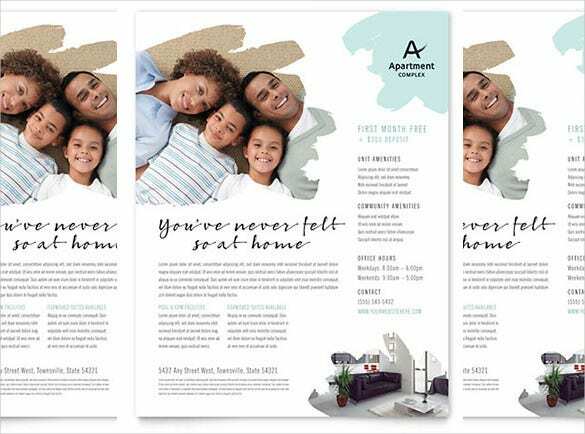 These Word Templates are easily customizable at any point of time thus saving money and time. 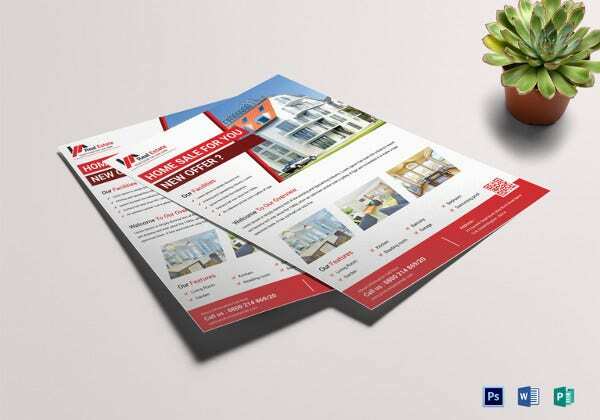 For example at the starting of selling a layout the flyer can be titled as “Bookings Open” and after a few sales the title can be edited as “Only 10 flats available”. 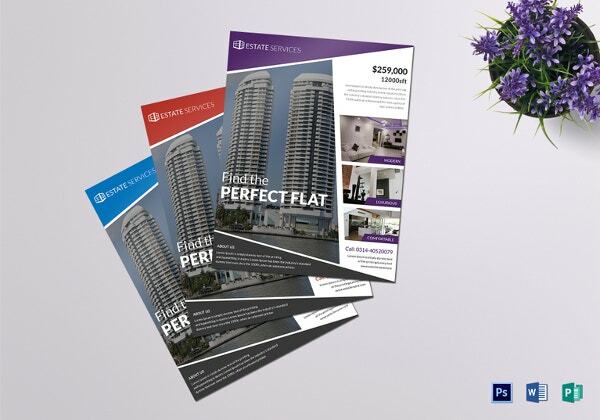 The real estate flyers are easy to print, hoard and distribute to the audience. 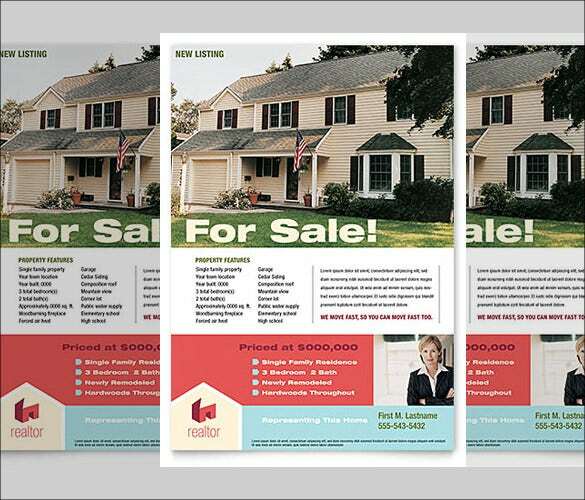 They do not require professionals to dispense the flyers; however the top brass and think tank of the business should identify the audience. 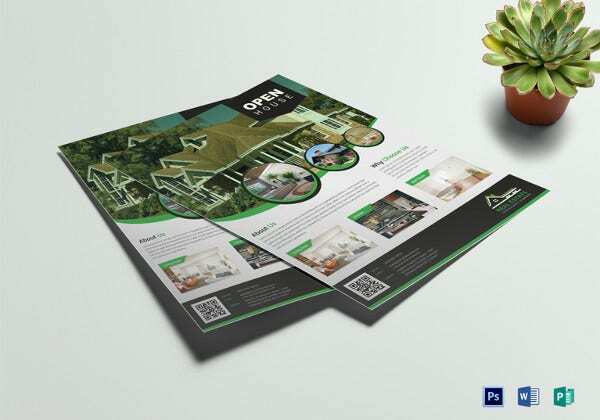 From above one can easily understand that for real estate business flyers are very important. 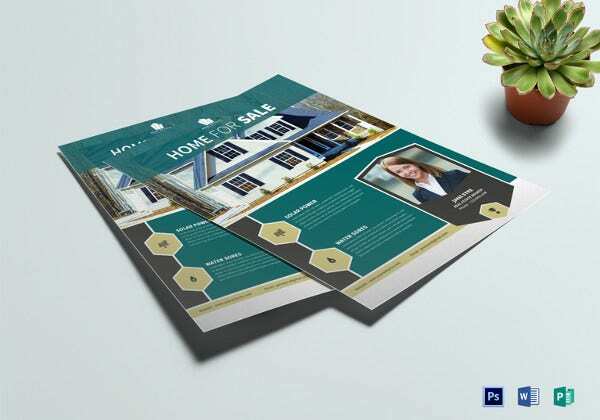 The samples and templates are available for free download and easily customizable in word doc.